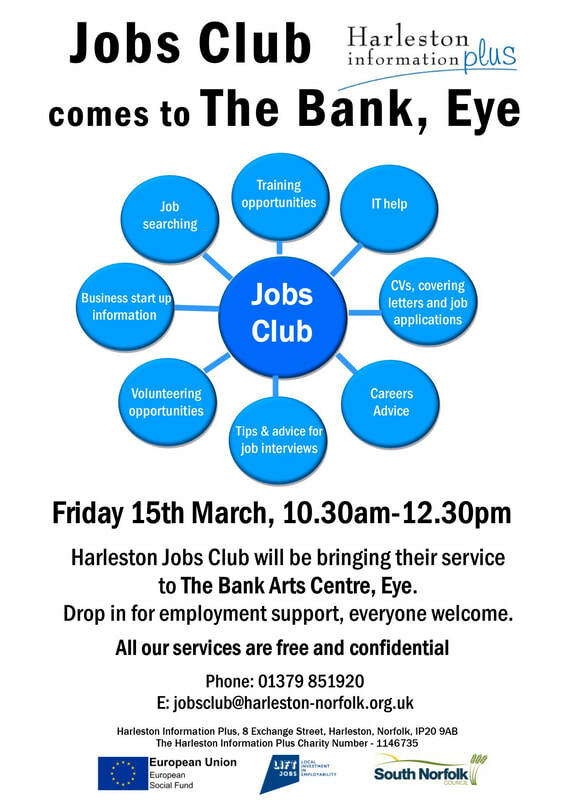 The Bank is partnering with the regionally renowned Harleston Jobs Club to support local people seeking to get, or get back, into employment. The Jobs Club has been running successfully for 10 years and offers a free ‘pop up’ Jobs Club service in isolated town and rural villages. We are holding a pop up Jobs Club at The Bank Arts Centre 15th March 10.30-12.30 including a free hot drink!